Being a family business committed to bringing the freshest and highest quality products to our customers, we strive to source from local businesses. One area where we do this is in our meat department. Just a few hours west of Chicago is a small packaging facility, Iowa Premium! Iowa Premium is a company in Tama, Iowa who sources cattle from local, family raised farms. The processes are all in accordance with and monitored by the USDA, making it a USDA Choice brand, as Iowa Premium sources locally. Most of the cattle come from within a 150 mile radius of the headquarters in Tama. 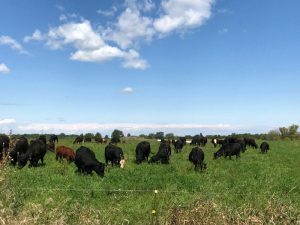 They look for farms that raise cattle with an emphasis on sustainability and responsibility that adhere to the nationally recognized Beef Quality Assurance guidelines. The farm areas have rich soil, good climate, and average rainfall. These conditions result in high quality beef. Iowa Premium uses black angus, corn-fed cattle. These qualities result in a unique flavor and easy marbling. 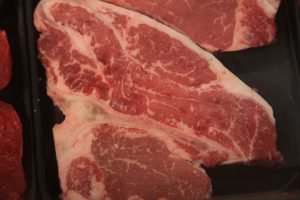 Marbling is the white streaks in a lean piece of meat. The degree of marbling is a great indicator of flavor of the meat. 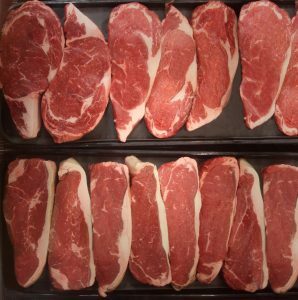 Many people follow the general rule that the more marbling, the better piece of meat. 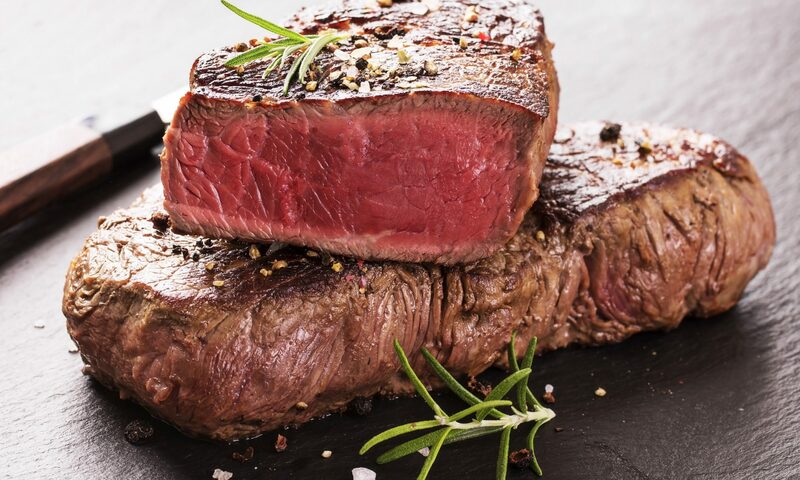 The cattle is corn-fed in order to create that rich, distinctive flavor that is unmatched by other brands. This adds to the degree of marbling and the quality of the meat! You can get Iowa Premium exclusively at Caputo’s in the Chicagoland area. Stop by one of our locations to pick up some Iowa Premium and taste the quality! You can also pick up a recipe card to learn how to make a garlic herb crusted roast beef! Also, stop by Addison on 1/25 from 12pm-4pm to meet an Iowa Premium representative who can answer your questions and help you get a Caputo’s gift card! Check out http://www.iowapremium.com to learn more! Hi Joanne, this particular beef is corn-fed. We do carry grass fed beef at every store though!